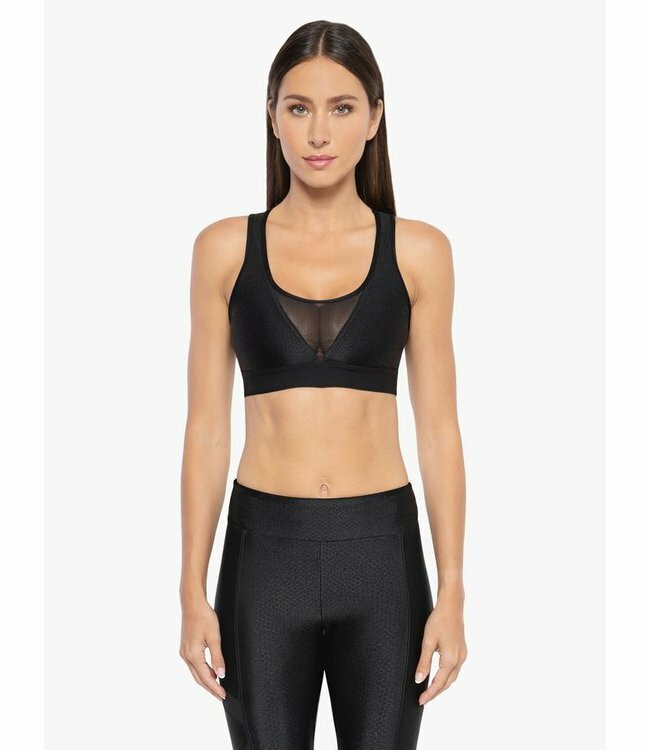 KORAL Edna Trilobal Sports Bra - Refinery Clothing Co. The new Tacana fabric is embossed to create a snake-like finish on this full coverage scoop neck bra. Featuring breathable mesh paneling on the front and back with a supportive botom band. Removable cups for support.